The news just keeps getting better and better for supporters of Alaska’s 11th Governor. Last Tuesday they witnessed the smack down that the GOP administered to the Dems, then they partied all night long due to the aforementioned Election Day conquests (all night in this case equals 10 PM-ish) and now they have a chance to preview TLC’s new documentary Sarah Palin’s Alaska on the big screen aka the moving picture theater. SARAH PALIN'S ALASKA is a new documentary series that takes viewers into the country's 'final frontier' through the eyes of one of its most famous citizens - Sarah Palin. In each episode, various family members join Sarah as she shares the state she knows and loves - from salmon fishing in Bristol Bay to hiking along one of our country's most breathtaking glaciers. Along with Alaska's great wilderness, the Palins encounter Alaska's fascinating residents and share what it takes to thrive in the country's largest state. Unfortunately, or fortunately depending on your viewpoint, the special screenings will only be showing in the following eight cities on Wednesday Nov. 10 and Thursday Nov. 11: Atlanta, GA; Buffalo, NY; Kansas City, MO; Tulsa, OK; Columbus OH; Houston, TX; Minneapolis, MN; and Phoenix, AZ. The wait won’t be too long for those who can’t attend the previews though as the series premiers November 14 on TLC at 9 p.m. ET. Eric is the co-founder & executive editor of This Dish Is Veg. 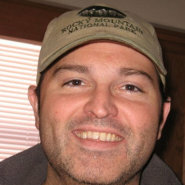 In addition to his TDIV work, Eric is a father of three, runner, and lover of the outdoors.